Dropbox finally launched Smart Sync, its desktop app functionality for accessing files stored in the cloud. We were not impressed and compared it with pCloud Drive. A few months ago Dropbox announced its Project Infinite and we thought, “Meh”. For those of you who didn’t follow that topic, Project Infinite was going to be a “revolutionary” functionality that would let you keep your files in the cloud but access them on your computer as if they were stored locally. Sounds familiar? It should, as this is exactly what pCloud Drive does – and has been doing for three years already. A few months later, Dropbox did indeed unveil this new functionality, but in the process, they decided to change its name from Project Infinite to Smart Sync. We took a look at it and decided to compare it to the good old pCloud Drive you know and love. Dropbox’s Smart Sync is available to Business clients only. Free users can’t take advantage of this functionality; neither can paying individual users. The only way to benefit from this functionality is to be a member of a Dropbox Business team. 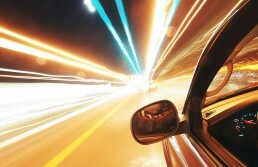 pCloud Drive, on the other hand, is available to all of our users – Free, Premium or Business plan users. Anyone who signs up with us, can simply download our desktop app and extend the hard disk on their computer by the amount of space they have in their pCloud account according to their plan. Free users have 10 GB, Premium plans come with 500 GB, Premium Plus – 2 TB and Business users – 1 TB for every user in the Business account. Technically, users don’t pay for pCloud Drive or for Dropbox Smart Sync on their own. However, you can’t use Smart Sync unless you are a paid subscriber so we figured it’s worth looking into this here. As we said, pCloud Drive is available for both free users and for people with paid subscriptions. Dropbox’s business plans at $10 per user per month with a minimum requirement for 5 users. In other words, to use Smart Sync, you need to pay at least $50/month. Even if you decide you are willing to pay for the service, it’s better to go with pCloud. Here is why. The cheapest possible Dropbox Business plan will cost you a minimum of $50 a month and with it, you get 2 TB of storage space for the entire account (all 5 users). If you opt in for a pCloud Business account, you’d still be paying $49.95/month for 5 users but you’ll be getting 5 TB of space instead. 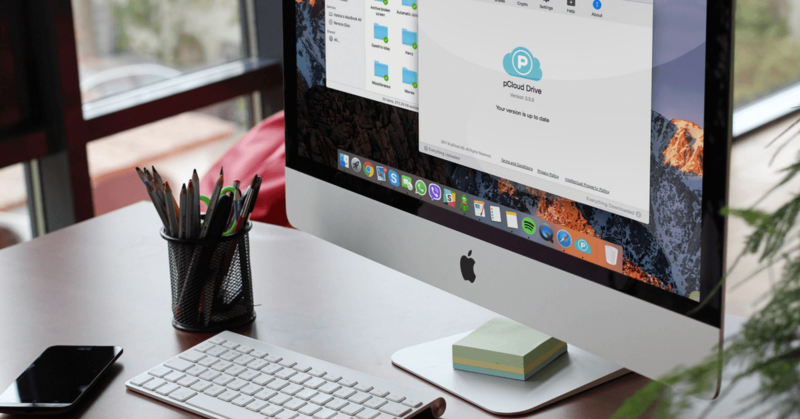 If you only need 2 TB, and you don’t have a team, you can get a pCloud Premium Plus plan instead and it will cost you $7.99/month with an annual subscription instead of the 50 bucks that Dropbox will charge you for the same storage. pCloud Drive doesn’t take up any space on your local hard disk. Period. Nothing more to add here. We don’t know about you, but we think that files that don’t take any space on your computer trump “practically no space” and “very little space” are a much, much better idea. Plus, Dropbox’s statements are quite vague and don’t really indicate how much space you would need to spare on your local HDD. We actually got in touch with one of their representatives but unfortunately, they couldn’t say either. File use in pCloud Drive is pretty straight-forward. You open the file with any program or application you want, you work on the file, you save your changes and close it. The file never leaves the cloud unless you specifically download/sync it. A temporary cache is created when you add files to our desktop app, however, it doesn’t stop the process – it just delays it slightly. Using your online-only files in Dropbox is more complicated. As we said in the previous paragraph, double clicking on a file that’s kept online only in a Dropbox account downloads the file. This is inconvenient for 2 reasons. First off, you would need to mark the file for cloud use only again when you finish working on it. This is annoying and takes up time you could spend on something useful like – we don’t know – working? The download and upload speed makes a real difference when working with files that are kept in the cloud only, as it determines how quickly you access the file and save its changes. Last but not least, we want to take a look at that extra layer of security you have with pCloud Drive. We’re talking about pCloud Crypto. You can add this service to your plan at any time and take advantage of the highest possible level of online protection. The client-side encryption of the service has been tested before and remains unbreakable to this day. Dropbox doesn’t really offer any similar service so you would need to keep your important, security-sensitive and confidential files in together with the pictures of your cat, for example. We’re not saying that the picture of your cat are not important, but having these hacked and leaked on the internet wouldn’t really make the news. Dropbox took their sweet time coming up with Smart Sync but it seems the service needs some tweaking still. If you are shopping for a real virtual hard drive and a way to expand the memory of your computer, sign up for pCloud and download our desktop app. You won’t be sorry.